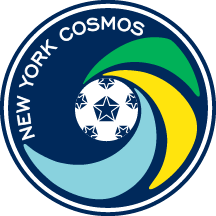 Preparations for the upcoming 2019 NPSL regular season are firmly underway for the New York Cosmos. The club played its first game together on March 15 against Hofstra University in a 4-0 win. The string of preseason games continues on Thursday, March 21, when Queens College visits Hofstra Soccer Stadium with kickoff at 4 p.m. The Cosmos expect Queens College to play similar to what they will face during the 2019 campaign. "We want to play against teams that are going to press us and work hard so that we can work on that because that's what we're going to face during the season," forward Jochen Graf. "We're going to have a lot of possession, due to the players that we have and the style of play that we have. So, we want teams that will be tough for us to play and that are going to be physical and active. That's what these college teams do. They're good at that." "They had physical players," he said. "They pushed and worked hard. That's exactly what we need because that's what we're going to face. Queens is going to be hard. It's going to be just like that. It's going to be another challenge for us. You just want to be playing games, so it's great. Now that we have them coming, it's something to look forward to." The Cosmos used two entirely different teams against Hofstra. When Graf and his teammates took to the field at the beginning of the second half, they already had a 3-0 advantage. That, however, did not change the mentality of the team, Graf said. "The score doesn't really matter," he said. "Maybe its 3-0, but for you its 0-0. The score isn't so important. It's about the movement, the timing. There was some nice stuff that we put in. It's still early. We're putting in the building blocks. "Of course, you want to win every time you play and want to score goals especially as an attacking player. You want to set up goals, you want to score goals. It felt good to be a part of attacks going forward. We're working on shape, we're getting to know each other more and more as it goes. That's what it’s about." Just getting out to play in a competitive match was the main thing. "It felt amazing to get out," Graf said. "You're always buzzing to get into the first game. So, getting out there, everybody on the field with your teammates and playing against somebody else, it felt really good." Cosmos head coach Carlos Mendes probably will play many players against Queens because few, if any players, are ready to go a full 90 minutes. "I'm sure in the beginning he'll he still easing us in," Graf said. "If you look across the team, most guys, no one's going to say, 'Oh man, I feel fully match fit. I think personally, there were good performances, guys worked hard and everything, but as the games come as we get more time on the field, the sharpness comes and then the top speed comes, and that's the most exciting part. "The movements, those quick steps for me, getting in behind, stretching my legs out. You know it's not often during the offseason or in a training session you're running 60-65 yards to track down a ball. But in a game it happens. So, you've got to build you're way up to that. I felt we had the building blocks [against Hofstra]." 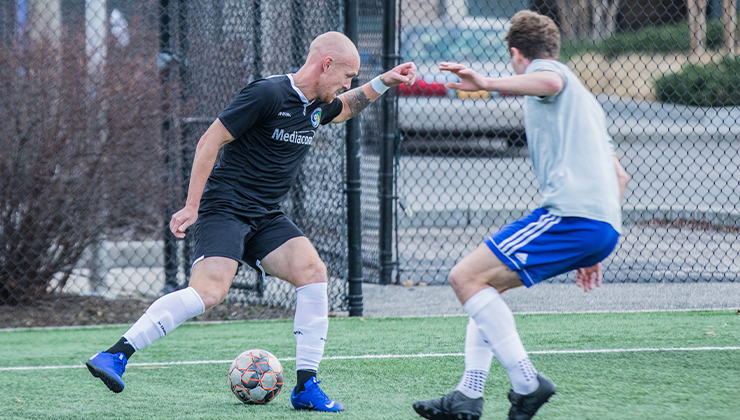 They kick off their NPSL regular season against the New York Athletic Club at Mitchel Athletic Complex in Uniondale, N.Y. on Saturday, April 27, at 7 p.m.